Properties in Long Beach average 4.6 out of 5 stars. 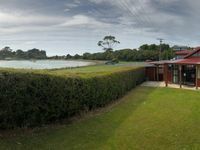 Property 11: Sea & beach views with safe swimming 15 min north of Dunedin. Property 26: 'Highcliff' - Spectacular ocean views! Modernised Bach at the beautiful and secluded Long Beach. Property 29: Modernised Bach at the beautiful and secluded Long Beach. modernised edwardian villa with fantastic sea views up the dunedin harbour. 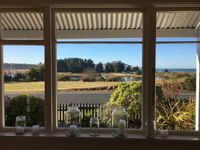 Property 31: modernised edwardian villa with fantastic sea views up the dunedin harbour. By the beach - room to play. Property 36: By the beach - room to play. Very clean, nice, comfortable and cozy house in an amazing location! People above 190 cm: Watch your heads!